Do you have anything exciting (not boring;) going on this weekend? 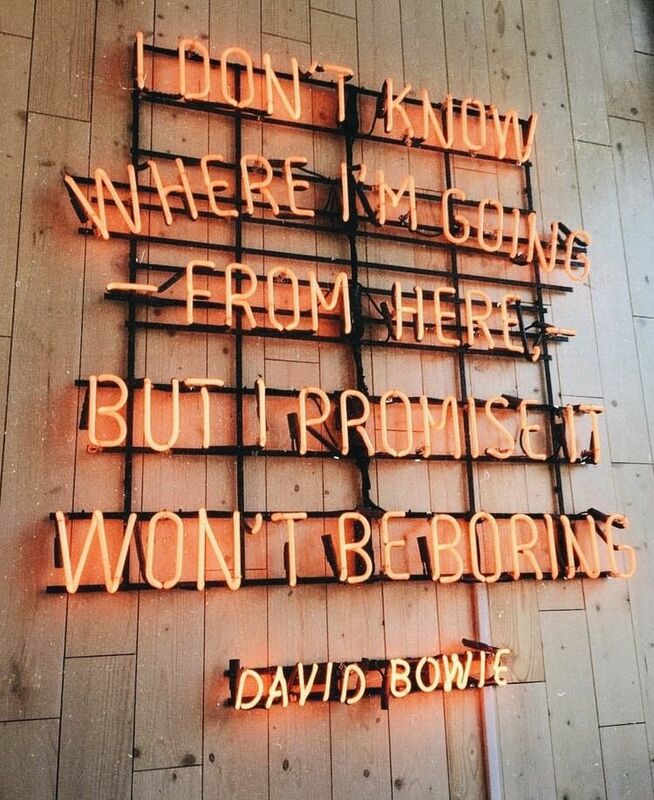 I'm afraid that I don't, but this David Bowie quote still made me smile a little smile. I frequently worry that posts I write will be too whiney, or negative, or depressing. But then I get all of your incredible comments and I am so happy to have pushed through the fear and hit the "publish" button anyway. Thank you so much to each and every one of you for being part of this little corner of the internet with me. Whether you comment or not, it is such an honor to write words you take the time to read. A new way to prepare the boring vegetable I never tire of. If money is no object, this is the face spray you want. Must make this warming winter soup ASAP! Small space design lessons from an unlikely source. OMG. The best sticky notes! The easy way to keep those resolutions. Gigantic waves on the Oregon coast. Europe's next destination hot spot. Finally, I cannot fathom the sad news about Dolores O'Riordan. Full post coming next week. It's just too big. I'm starting to cry listening to this song. Thanks for those lovely, interesting links. Yours are refreshingly different from those on other blogs. Again, I'm so happy to find you posting regularly again. Have a wonderful weekend. Just wanted to say I have been reading your blog for a while now... and always enjoy your posts, so thank you!